Bellringer What happens to the oldest islands in a volcanic island chain created by a mantle hot spot? 1 Bellringer What happens to the oldest islands in a volcanic island chain created by a mantle hot spot? Like other substances, magma is made up of elements and compounds, and has a certain set of properties, or traits. 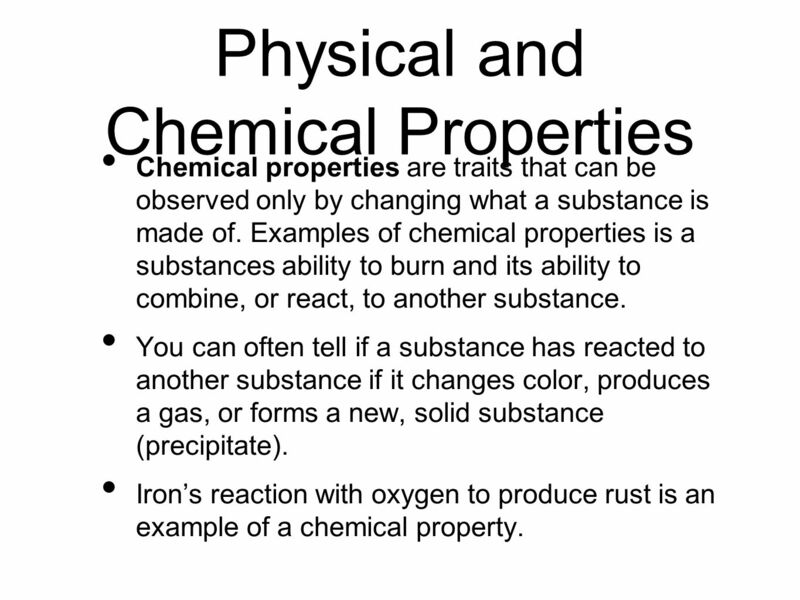 Properties can be physical or chemical. An element is a substance that cannot be broken down into other substances. Carbon, Oxygen, Argon, Gold, Tin, Lead, etc. 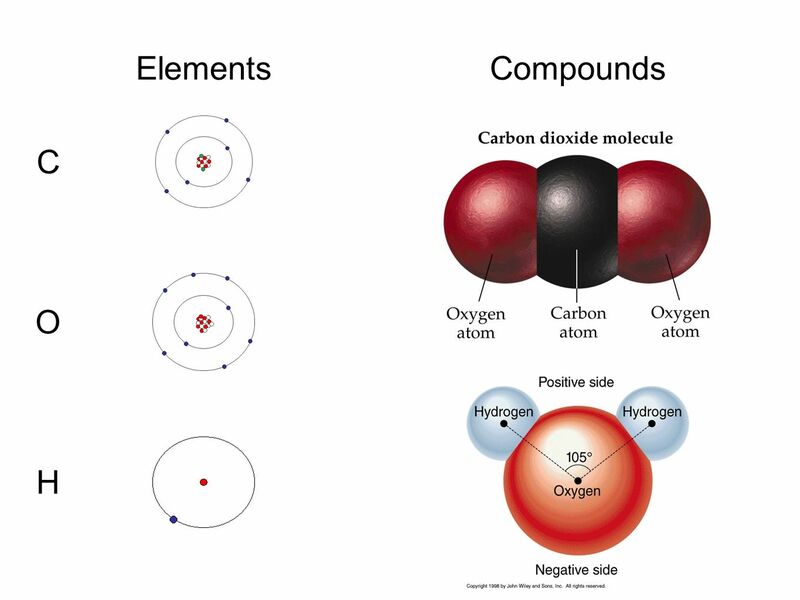 A compound is a substance made of two or more elements that have been chemically combined. Water, Carbon Dioxide, Table Salt, Sulfuric Acid, etc. 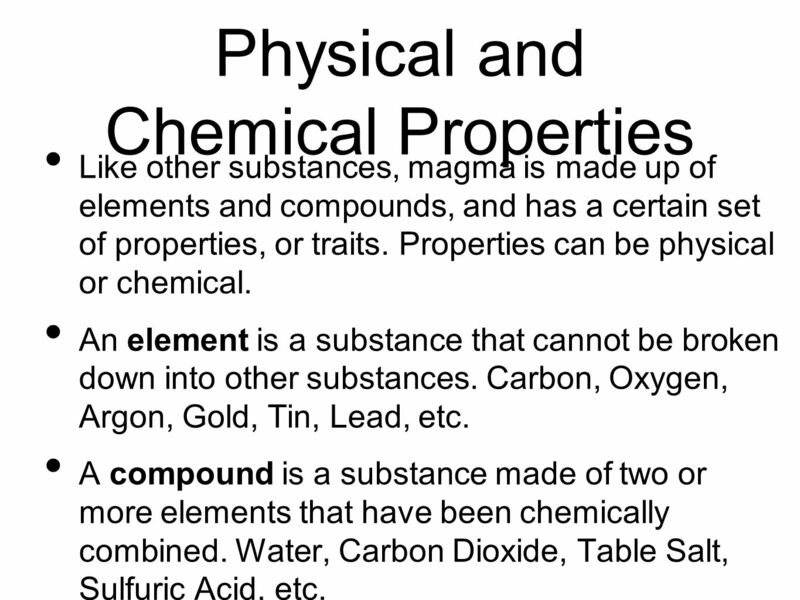 Physical properties are traits that can be observed without changing what a substance is made of. 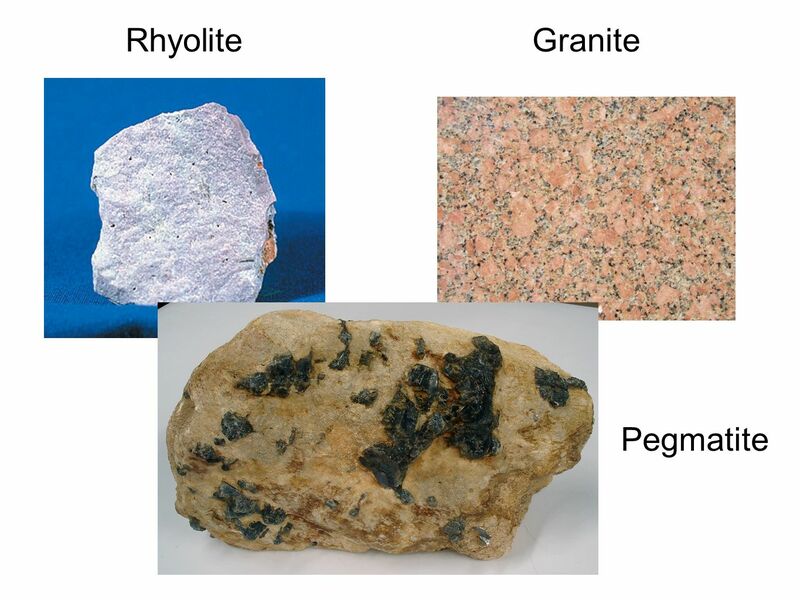 Examples of physical properties are hardness, color, density, melting point, boiling point, and magnetism. Water, under normal pressure, will always have a melting point of 0°C and a boiling point of 100°C. Chemical properties are traits that can be observed only by changing what a substance is made of. Examples of chemical properties is a substances ability to burn and its ability to combine, or react, to another substance. You can often tell if a substance has reacted to another substance if it changes color, produces a gas, or forms a new, solid substance (precipitate). Iron’s reaction with oxygen to produce rust is an example of a chemical property. 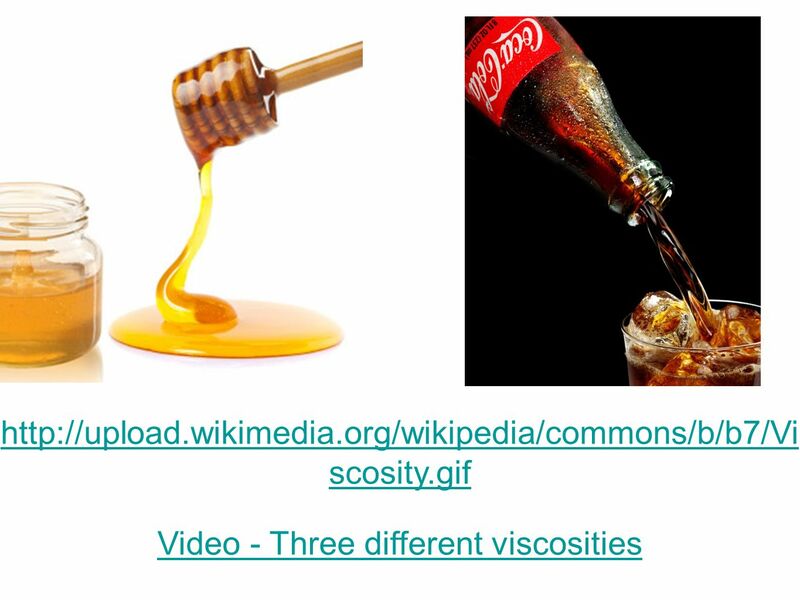 7 What is Viscosity? 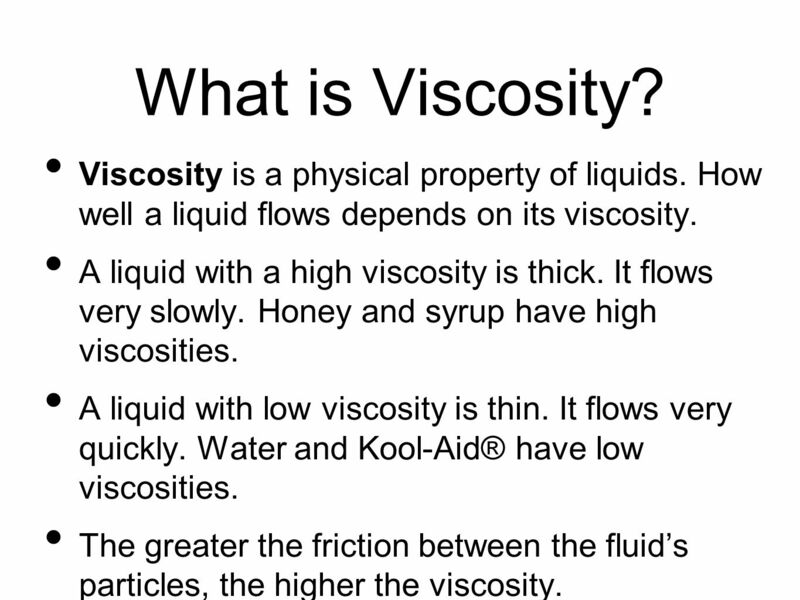 Viscosity is a physical property of liquids. How well a liquid flows depends on its viscosity. A liquid with a high viscosity is thick. It flows very slowly. Honey and syrup have high viscosities. A liquid with low viscosity is thin. It flows very quickly. Water and Kool-Aid® have low viscosities. The greater the friction between the fluid’s particles, the higher the viscosity. 9 Viscosity of Magma Silica is a common substance in Earth’s crust. Magma contains silica. 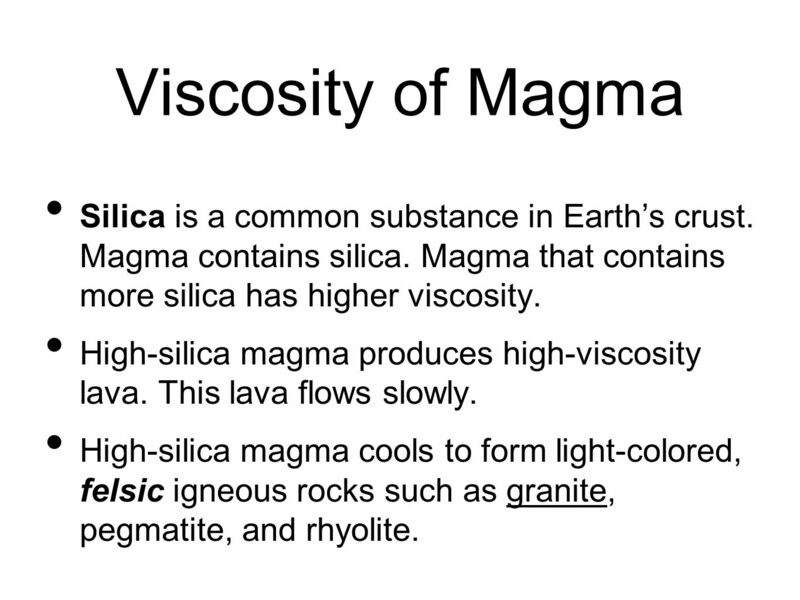 Magma that contains more silica has higher viscosity. High-silica magma produces high-viscosity lava. This lava flows slowly. High-silica magma cools to form light-colored, felsic igneous rocks such as granite, pegmatite, and rhyolite. 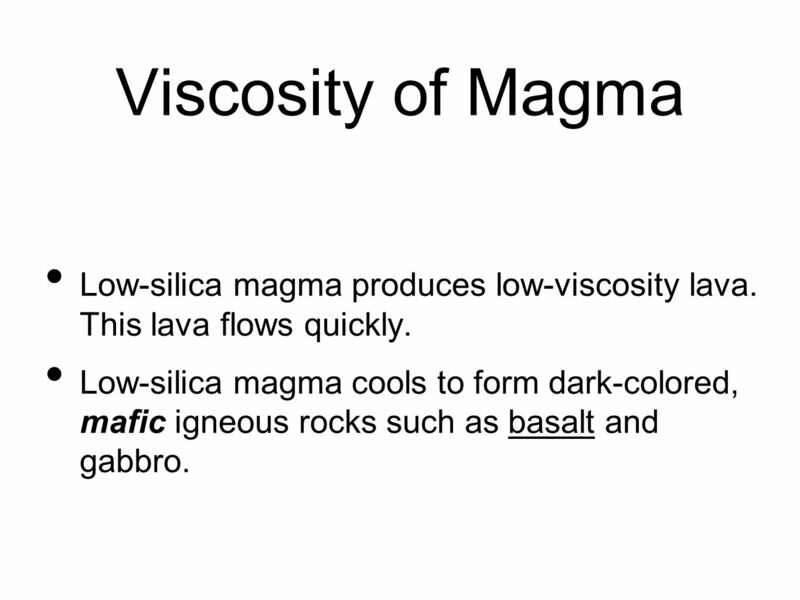 11 Viscosity of Magma Low-silica magma produces low-viscosity lava. This lava flows quickly. 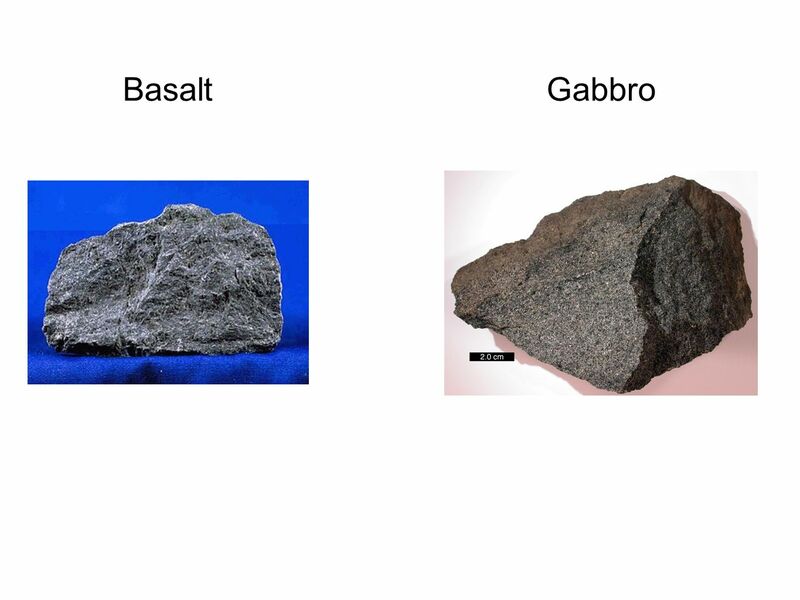 Low-silica magma cools to form dark-colored, mafic igneous rocks such as basalt and gabbro. 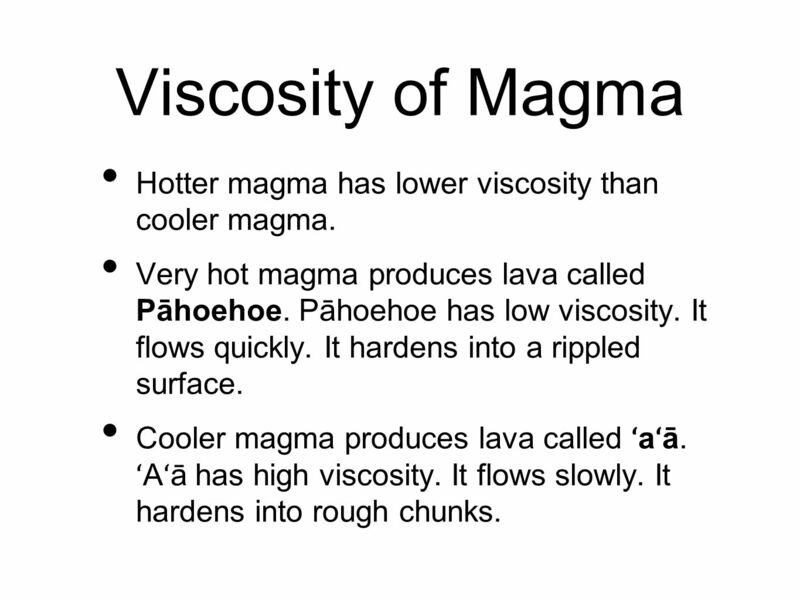 13 Viscosity of Magma Hotter magma has lower viscosity than cooler magma. Very hot magma produces lava called Pāhoehoe. 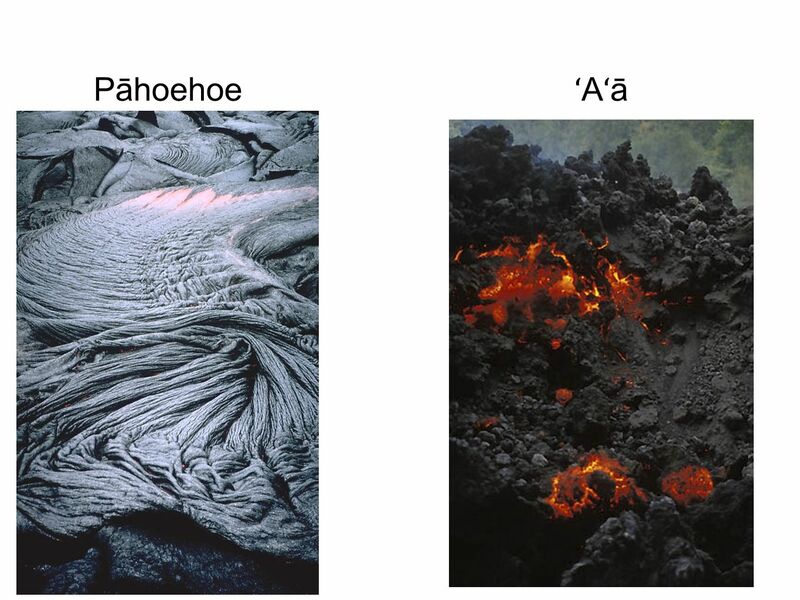 Pāhoehoe has low viscosity. It flows quickly. It hardens into a rippled surface. Cooler magma produces lava called ʻaʻā. ʻAʻā has high viscosity. It flows slowly. It hardens into rough chunks. 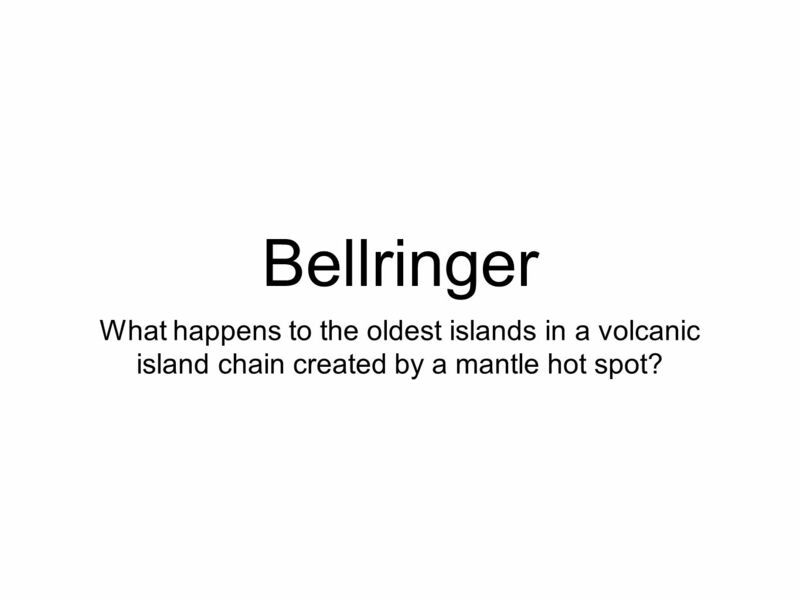 Download ppt "Bellringer What happens to the oldest islands in a volcanic island chain created by a mantle hot spot?" Rocks S6E5 Students will investigate the scientific view of how Earth’s surface is formed. Investigate the composition of rocks in terms of minerals. Classify. ROCK NOTES I. What is a rock? Rock - two or more minerals (found in the earth’s crust) bound together in a solid form. CH. 5 – Igneous Rocks   What are igneous rocks?   Formed by the hardening of magma.   “Ignis” means fire   What is the difference between magma. 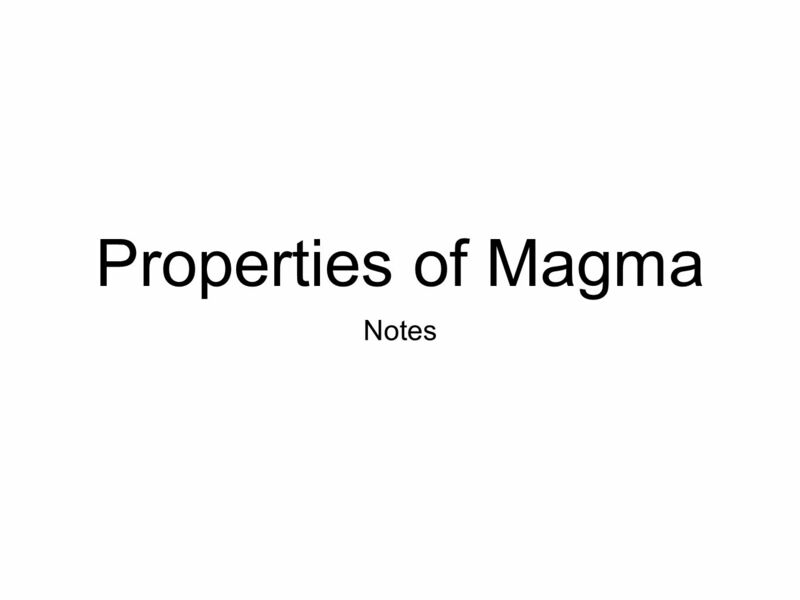 WHAT IS MAGMA MADE UP OF?. At divergent boundaries and hot spots, magma forms by PARTIAL MELTING (not complete melting) of the mantle Minerals with higher. Chapter 3: Rocks Table of Contents Section 2: Igneous RocksIgneous Rocks. Igneous Rocks Mt. Rushmore. Half Dome, Yosemite, CA Ansel Adams. Igneous Rock By Mr. Krall. What is a Rock? A rock is a mixture of minerals. Rocks form and reform through the rock cycle. Chapter 7 Sections 1 & 2. Volcanoes & Plate Tectonics (Sect 1)  Volcano – a weak spot in the earth’s crust where magma comes to the surface  There are. Chapter Two Part 1 Classifying Matter Properties of Matter. Properties of Matter Properties of matter describe matter. 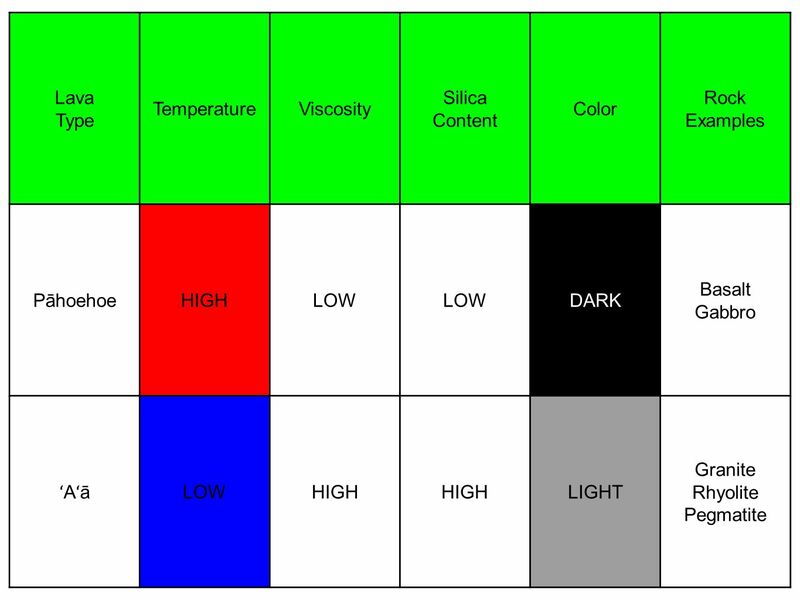 Example might be its color, hardness, shape, etc. Properties of matter describe matter. Example. Igneous Rock Notes. Igneous rock forms when magma cools and solidifies. Formation. 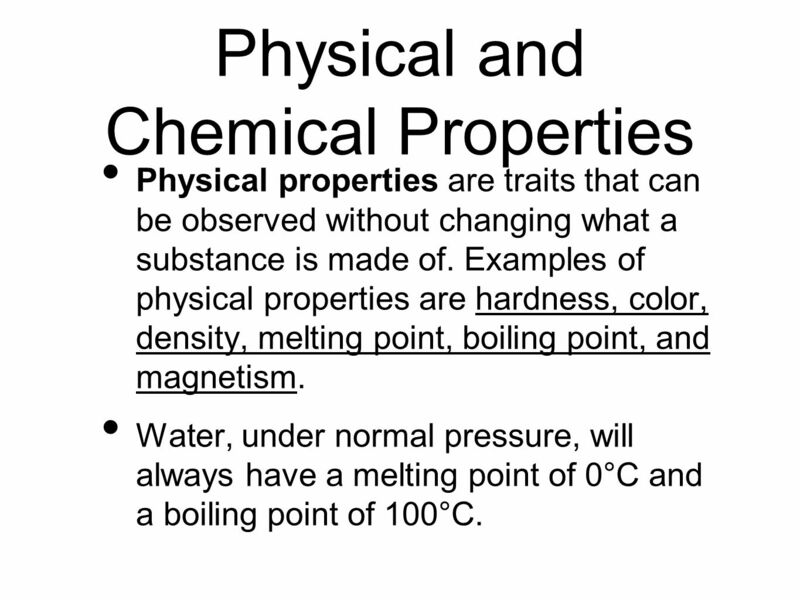 Chapter Two Part 1 Properties of Matter Classifying Matter. Bellwork November 3 rd Make a venn diagram explaining the similarities and differences between metamorphic and igneous rocks.